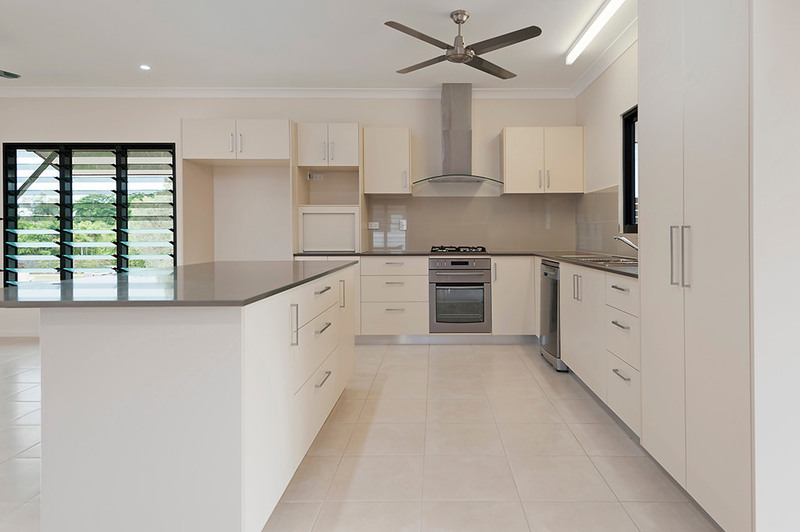 This award-winning spec home, designed and built by Killarney Homes, perches on top of a beachside hill in a new housing development once occupied by Darwin’s Overseas Telecommunications Commission. With its clever use of thermal mass; airy, shaded living areas; and low-maintenance finishes, it is a perfect example of Killarney Homes’ overarching commitment to smart, sustainable design and build philosophies. Chief executive Damien Moriarty says that although the company completes between 40 and 50 homes per year, each one is built with an emphasis on energy and resource efficiency. 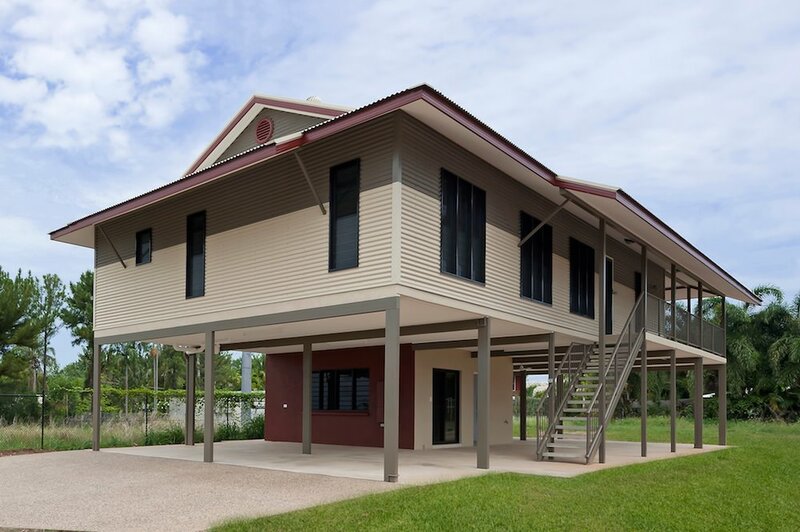 With hot days, humid nights and a lengthy wet season to contend with, the far north of Australia presents designers and builders with a unique set of challenges for optimising energy efficiency. It’s all about cooling, for one, and there’s a particular art to siting homes correctly. ‘Breezes generally prevail from the south-east in the dry season, and then we get north-westerlies with the monsoonal flow in the wet season. So the challenge is siting homes correctly to encourage the cross-breezes while also providing protection from the monsoonal storms,’ Damien explains. The winning home is a contemporary re-working of the traditional elevated architecture characteristic to Australia’s far north. The ground floor, designed primarily as a cyclone-safe room, comprises a spare bedroom, laundry and bathroom. The steel-framed, Colorbond-clad main house soars out above this concrete box. The home is positioned and designed to maximise air flow for natural cooling, and the clean, streamlined architecture, defined by the deep eaves and large verandas, protects the walls from solar heat. ‘The eaves extend out to 1500mm over the windows,’ Damien says. ‘Deep shade on the front of the home, combined with the large veranda at the rear, allow the prevailing winds to cool and then draw through the home.’ The windows are fitted with Viridian EVantage glass which reduces glare and provides even more protection from the sun’s heat. Thermal mass, used to keep homes warm in cooler climates, is put to work as a heat shield. The walls of the elevated section of the house are highly insulated and the floor of the upper section is a 150mm concrete slab; selected specifically for its thermal properties and designed to maximise the efficiency of airconditioning.